Summer Solstice, 21 June, the longest day. Stonehenge, an ancient astronomical clock. As the sun rises on the Summer Solstice, the sun is exactly in line with the gap in the circle. There is an outlier stone that is exactly on this alignment. Stonehenge is on Salisbury Plain, not far from Salisbury. The stones came from Wales. Salisbury is a cathedral city. The cathedral is by the river. From a hill overlooking Salisbury, there once stood Old Sarum. From Old Sarum look across the valley. The spire of the cathedral is in line with a notch on the line of hills opposite. The notch is an ancient trackway, that has cut into the skyline. The line from Old Sarum through the spire, to the notch, is a Ley Line. The location of the cathedral came to a Bishop in a dream. 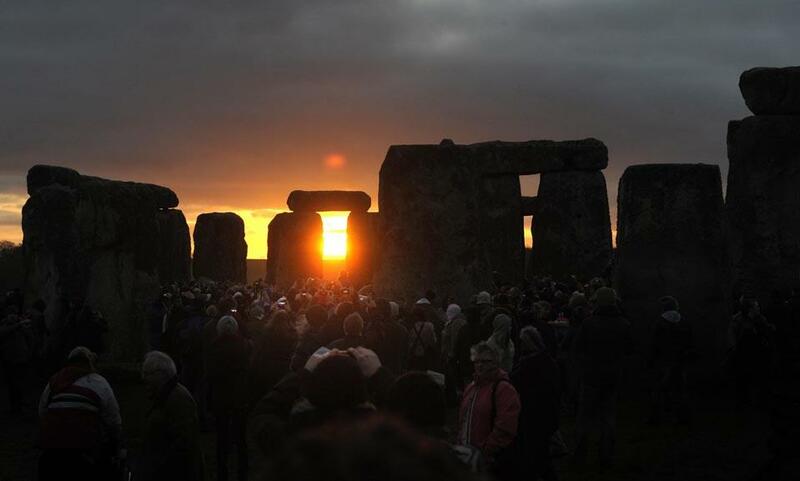 The Summer Solstice was attended by over twenty one thousand people at Stonehenge.